Last one to the future loses. 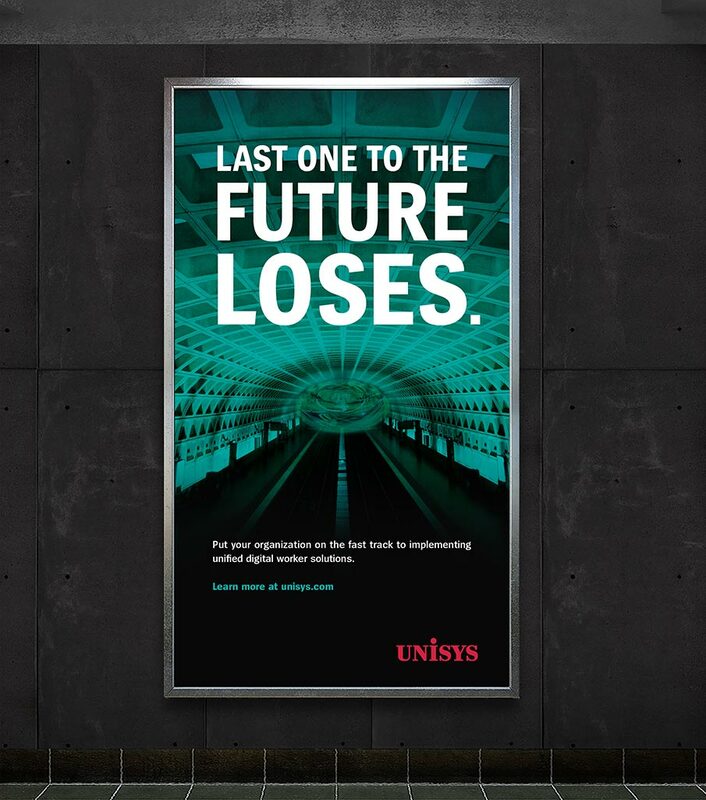 Unisys is a $3.4 billion company that provides technology solutions to global Fortune 1000 companies and government agencies. The company has been in business —remarkably— since the 1880’s. Unisys selected BlackWing Creative to redefine how the company presented itself to prospects and customers, and to drive qualified leads through the purchase cycle in key industries. Blog: When Is A Single Video Worth Millions? Blog: 76 Shoeboxes Delivering $100.1 Million In Revenue. BlackWing conducted market research and message testing, then translated this input into an aggressive new marketplace position. We highlighted the company’s technological prowess in commercial markets, such as financial services and security. And executed the new story through forceful, multi-channel lead generation campaigns. This was the most successful program ever deployed by Unisys. The campaign drove an overall ROI of 3,400%, with $141 million in attributed revenue. A high-impact dimensional Nike shoe mailer won a coveted international ECHO award, which recognizes the world’s best direct marketing campaigns. Unique box with new “Last One to the Future Loses” campaign theme ships to C-level prospects. Box reveals Nike athletic socks and opportunity to get custom running shoes. 34% of CIO’s take face-to-face meetings. Campaign generates 3,000% ROI and attributed sales of $148 million. Watch the campaign case study.